Do you want to practice your swing and hit some balls but don’t want to out in the heat and sweat all day? We have the solution! 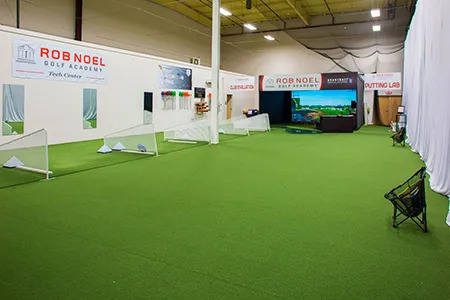 Come and practice your full game at our Rob Noel Golf Academy Tech Center with AIR CONDITIONING! Our indoor practice range includes a 1200 square foot putting/chipping green that runs 11 on the stimp. 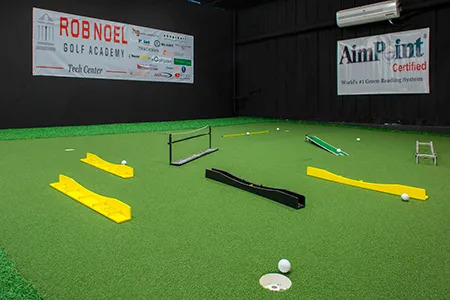 In addition, our unique 400 square foot Birdzone putting green, that runs 10 on the stimp, will allow you to compete daily, weekly and even monthly against other patrons and students of Rob Noel Golf Academy Tech Center..
Our Practice facility will also house 10 hitting bays. One bays will house our video, Trackman and K-Vest technology. Our T-Line turf is as close as it gets to hitting off of real grass. And no more hitting off rubber tees. You can place your own tees in our turf to get your desired tee height. Call Craig Trahan 504.300.1235 for more information on services offered or email Craig. 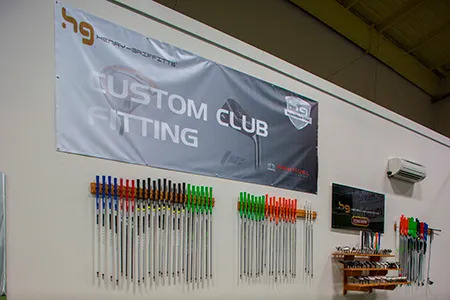 Individual, Joint and Family memberships now available starting at only $54.95 per month, the most affordable way to keep your game in shape all year round. 55 of the world's best golf courses golf courses, driving range and wedge practice. Green settings are available! Get Fitted. Hit better golf shots. Have more fun? Our mission is to help more golfers have more fun beyond the 1st tee. We know that it isn’t all about the scorecard or handicap. We know golf’s a lot more fun when you’re hitting better golf shots (scorecard and handicap follow on from that). 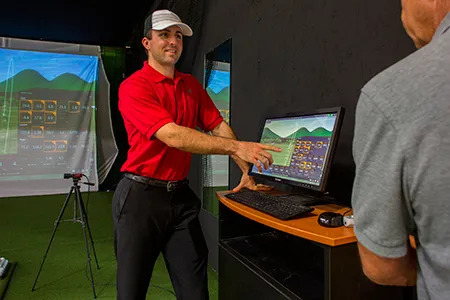 If you’re looking to improve any aspect of your golf game and think that new equipment might help, then don’t waste the opportunity to make the game as easy as is possible. 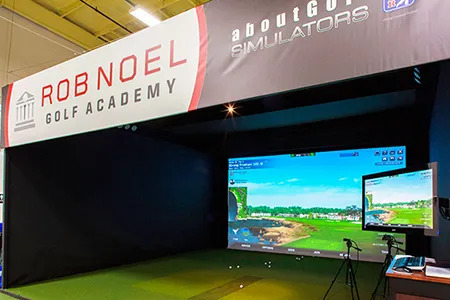 At the Rob Noel Golf Academy Tech Center we also offer Junior Golfers' Training Programs. 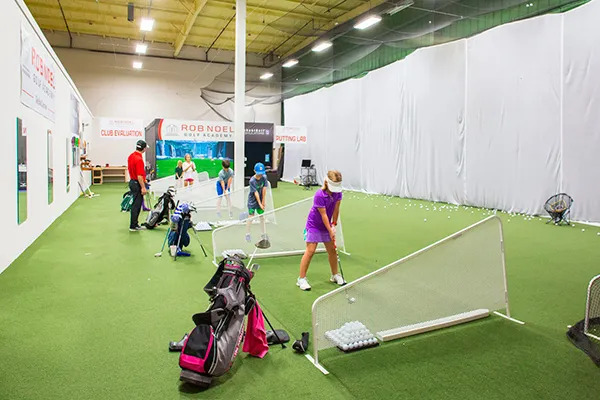 Whether your junior golfer is just getting started or is looking to play competitively at the school level, our junior golf programs at Rob Noel Golf Academy are designed to teach kids in a FUN, fast paced learning environment. 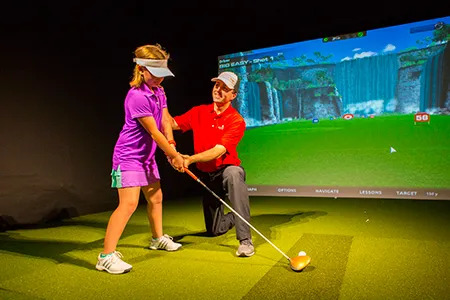 We offer several varieties of junior instruction programs.